Ukuran pratayang ini: 713 × 600 piksel. Resolusi lain: 286 × 240 piksel | 571 × 480 piksel | 913 × 768 piksel | 1.024 × 861 piksel. 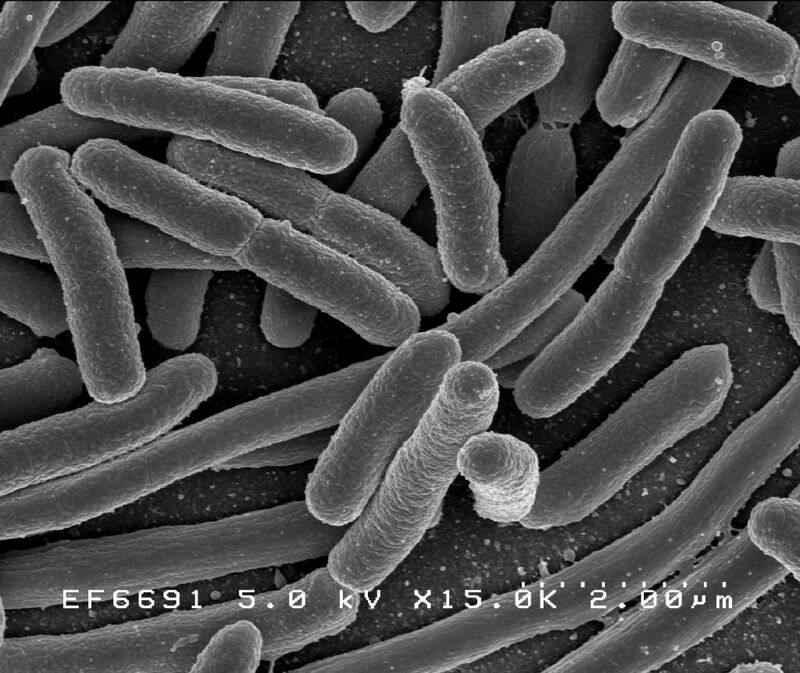 English: Escherichia coli: Scanning electron micrograph of Escherichia coli, grown in culture and adhered to a cover slip. Français : Escherichia coli: Micrografia d'escombrat electrònic d'un cultiu d'Escherichia coli. Sumber NIAID: These high-resolution (300 dpi) images may be downloaded directly from this site. All the images, except specified ones from the World Health Organization (WHO), are in the public domain. For the public domain images, there is no copyright, no permission required, and no charge for their use.